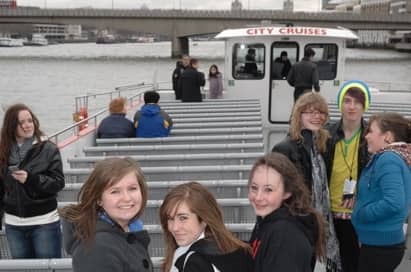 An exciting cultural day trip to London tour offers pupils the opportunity to cover many aspects of their curriculum in a short space of time. Over 400 groups travel to London with NST every year. By choosing NST, you’ll receive valuable advice and expertise on hundreds of visits, as well as excellent prices at top attractions and West End shows. Price shown is based on 40 paying passengers departing selected departure points in November 2019 and is subject to availability. See the major sights of the city. An expert Blue Badge Guide will join you on your coach and bring the Capital to life for your group. Sights may include Big Ben & Houses of Parliament, Trafalgar Square, Piccadilly Circus, Westminster Abbey and St Paul’s Cathedral. Standing tall on the south bank of the River Thames, nothing says iconic like The Coca-Cola London Eye. Located right at the heart of the city, here you get closer views of London’s most spectacular landmarks from Big Ben to The Houses of Parliament. Take in London’s best-loved sights on this enjoyable cruise. 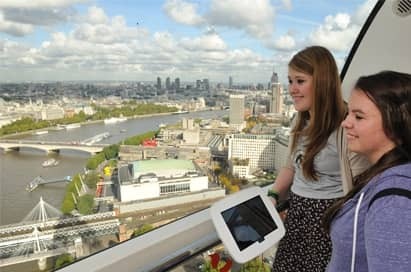 Your students will gain an insight into the many layers of history that have built up along the river, from the Houses of Parliament and Tower Bridge to the Coca-Cola London Eye. A West End show is a magical and unforgettable experience and a must for groups visiting the city! 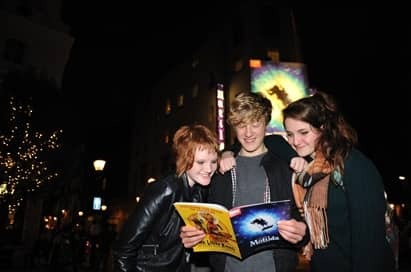 Catch a show at one of the capital's famous theatres with tickets to an array of award-winning plays and spectacular musicals, including the Lion King and Wicked! There are so many popular options to choose from and we can book any show for your group. Plus, our dedicated in-house theatre team and our links with the best ticket providers means we’ll be able to reserve your first choice tickets. Harry Potter is a behind-the-scenes walking tour which will truly immerse students into the world of film-making. Step on to authentic sets, discover the magic behind spellbinding special effects and explore the behind-the-scenes secrets of the Harry Potter film series. Tread the original stone floor of the iconic Hogwarts Great Hall, encounter animatronic creatures and wander down Diagon Alley. Located at the Studios where all 8 films were produced. 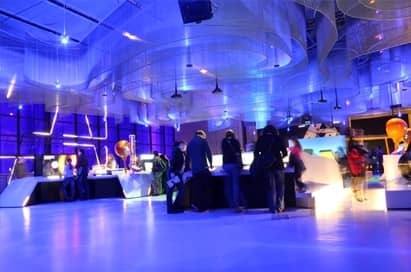 Inspired by the power of wondering, Wonderlab: The Statoil Gallery will ignite curiosity in science and maths through more than 50 cutting edge exhibits and immersive experiences. Along with high-energy shows, live experiments at our Chemistry Bar, live lightning demos at our giant Tesla coil, plus our brilliant Explainers to facilitate engagement, a school trip to Wonderlab is a must for KS2 and KS3 students. The gallery will enrich learning across the curriculum themes of forces, electricity, light, sound, matter, space and maths. The exhibits will encourage students to be curious, to look at close details and to be creative – skills that are invaluable to scientists. ‘Who am I?’ - find out what makes you in this gallery that mixes intriguing objects with interactive exhibits. Psychology: Mind Your Head – a small exhibition exploring some of the stories, tools and puzzles that have engaged British psychologists during the 20th century. The museum also offers a great selection of curriculum-linked schools events and shows, and stunning 3D films in their IMAX Cinema. Science Museum resources are also available and free to download. 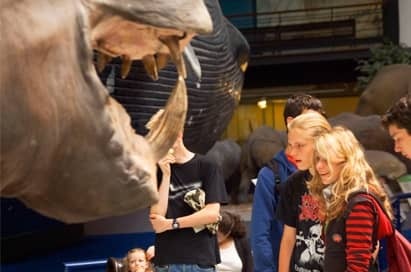 At this exciting museum, your students can explore the natural world and discover the amazing diversity of life that has evolved on our planet. Study a range of themes including climate change, evolution and the natural environment, helping to give your students an understanding of the impact that science has on their lives. Exploring the human biology gallery, which covers memory and how our memory functions and an insight into the human body. Your group will learn about the relationship between acting and fight choreography. Discover how fights are choreographed and hone your collaboration skills whilst creating your own combat. 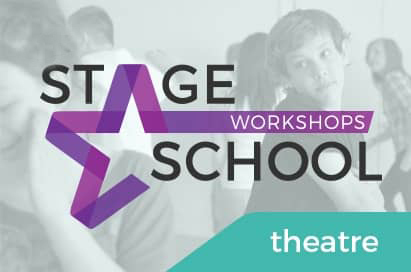 Stage School Workshops are delivered by qualified teaching artists (so you can get involved too) and can be tailored to your chosen show, as well as your curriculum requirements. A popular and versatile interactive workshop designed to enhance the participants’ night in the West End. In a fun and relaxed environment, students are taught skills and techniques used by professional actors inspired by the themes of the show they see. The world’s largest collection of decorative and applied arts. Some areas focus on the history of costume and are of particular interest to pupils studying textiles. The holdings of ceramics, glass, costumes, jewellery, furniture, sculpture, prints and photographs are among the largest and most comprehensive in the world. 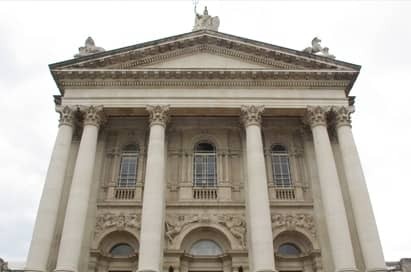 Appreciate works of art, both old and new, at the fantastic galleries on offer in the city. Help to develop pupils’ understanding on the nature of authority and attitudes to crime and punishment in the early modern period. An ideal opportunity for a more in-depth study of Guy Fawkes and his attempt to destroy the Houses of Parliament in 1605. After a major redevelopment in 2014, the museum now features groundbreaking new WWI Galleries which will present the story - how it started, why it continued and its global impact - through the lives of those who experienced it on both the front line and the home front. The Witness to War atrium displays iconic larger objects including a Harrier, Spitfire and V2 rocket suspended from above. Take a 21st century approach to embedding technology learning in school, and introduce your students to the world of 3D printing where a solid object of virtually any shape can be created from a digital model. In our Introduction to 3D Printing workshop, students will get hands on with 3D computer modelling and see designs turned into real life on a 3D printer. All students will receive a certificate of attendance and will take away a 3D printed item too. Create 2D and 3D shapes through designing a house in Sketchup. Look at the difference between a 2D representation of the shape and the 3D model itself. What is a plan and how would an architect use 2D and 3D shapes to represent their project? Create simple shapes like triangles, squares and arcs. And through learning simple ideas such as angles and rotation, turn these shapes into amazing nature-like structures such as snowflakes and shells. For maths groups, we can also offer full day workshops at The National Museum of Computing at Bletchley Park combining a tour of Bletchley Park, a visit to Colossus (the first electronic computer) and a hands-on processing or 3D printing workshop. 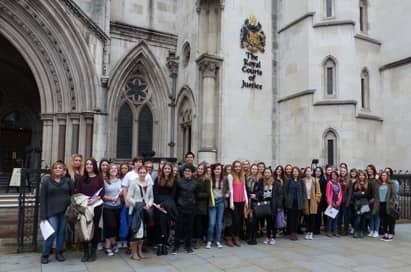 Suitable for KS3-5, this exciting visit to the historic Royal Courts of Justice will have your group talking for weeks! You can choose from a wide range of quality learning experiences. This two-hour session takes place in a working court room and around the courts. Discover at firsthand the historical context of Whitechapel in the late 19th century as well as in-depth historical knowledge on Jack the Ripper. 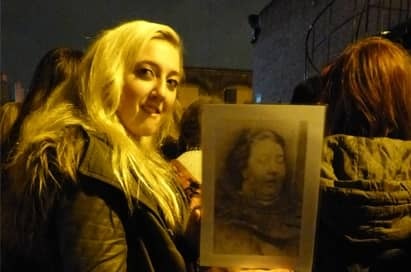 This eerie yet informative evening activity led by expert guides provides an insight into the mindset of this renowned murderer and maps his trail of terror. The site is also near Cable Street so the study visit can include work on 20th century protest. History is brought to life in chilling reality! 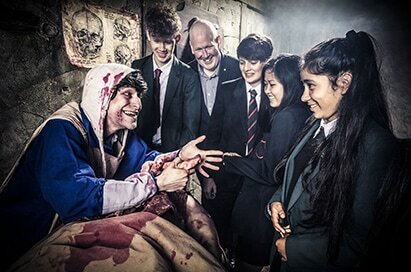 The Dungeon will reinforce your students’ historical education in an accurate, dramatic and thought-provoking way. Your group will witness scenes of British history depicting human sacrifice, martyrdom, torture, witchcraft and many little known yet curious facts of the lives of our forebears. Go back to the Great Fire of London and be plunged into the heart of a searing inferno or take a dark boat ride in the role of condemned prisoners. At St Paul’s Cathedral, students can study an iconic Christian place of worship and learn about the beliefs and practices of the Church of England through a number of themed tours suitable for KS3-KS5, including: The World of Worship, The Bible: Is it Relevant in Today’s World?, The Big Issues, ‘Jesus’ Fact or Fiction for Today’s Society and Christianity Through Art & Design. General guided tours suitable for different age groups can also be provided. 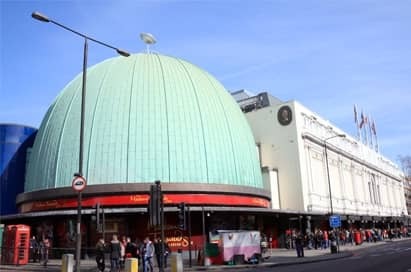 Filled with 14 exciting, interactive zones and the excellent Marvel Super Heroes 4D movie experience, Madame Tussauds London combines glitz and glamour with incredible history with over 300 wax figures, including David Beckham, Lady Gaga, the Queen and many, many more. So, who do you want to meet? Created in close collaboration with Disney and Lucasfilm, Star Wars at Madame Tussauds is a unique, immersive experience starring extraordinarily life-like wax figures of the favourite heroes and villains of Star Wars Episodes I-VI. The figures appear in authentic walk-in sets inspired by key scenes from the movies. Dynamic special effects add to the immersion, as you can step right into, and star in, some of the most iconic moments in film history. 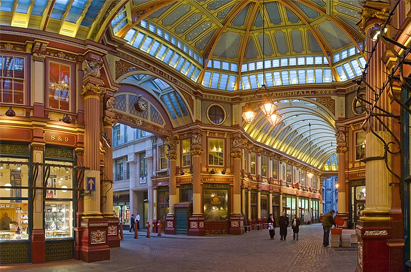 Take a Harry Potter Walking Tour into the magical world of wizardry in London! 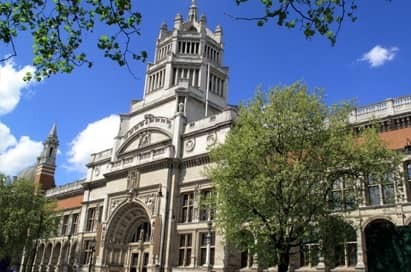 Learn about London’s rich muggle and wizarding history, amazing facts about the books and films and see many of the Harry Potter film locations used in London, including the Ministry of Magic and the entrance to the Leaky Cauldron. 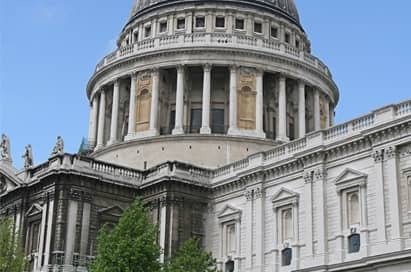 The tour features familiar Harry Potter film locations as well as iconic London landmarks and attractions including St Paul’s Cathedral, Millennium Bridge, Tate Modern, Borough and Leadenhall Markets and Monument. 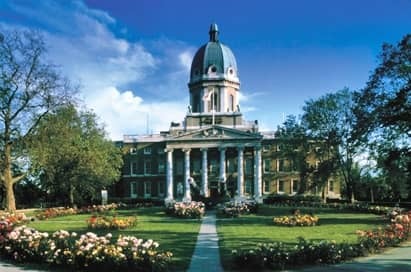 This guided London film locations walking tour is action-packed with sites from Comic Book movies. You will follow on screen heroes such as Batman, Wonder Woman, Jack Ryan and the Thunderbirds as they fight to protect London and defeat the forces of evil. 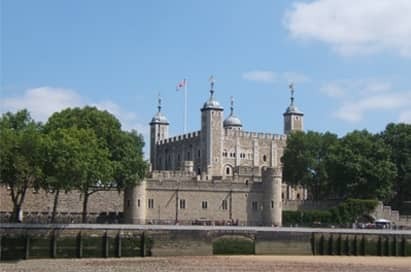 You’ll see how London has been used by movie makers from all over the world to represent both the British capital – home to on screen heroes such as James Bond and Sherlock Holmes, but can also stand in for numerous other locations from across the globe including St Petersburg, Switzerland and even Gotham City! Rail is a convenient travel option for small groups, ideal for connections to Eurostar, major airports and travel to many city destinations.